The Queen Victoria (GT 90,000 tons) is a new cruise ship under construction for the Cunard Line at the Fincantieri ship yard near Venice, Italy. She is scheduled to be floated out from her construction drydock in January 2007. Following fitting out and completion, she is due to make her maiden voyage on December 11 of that same year. 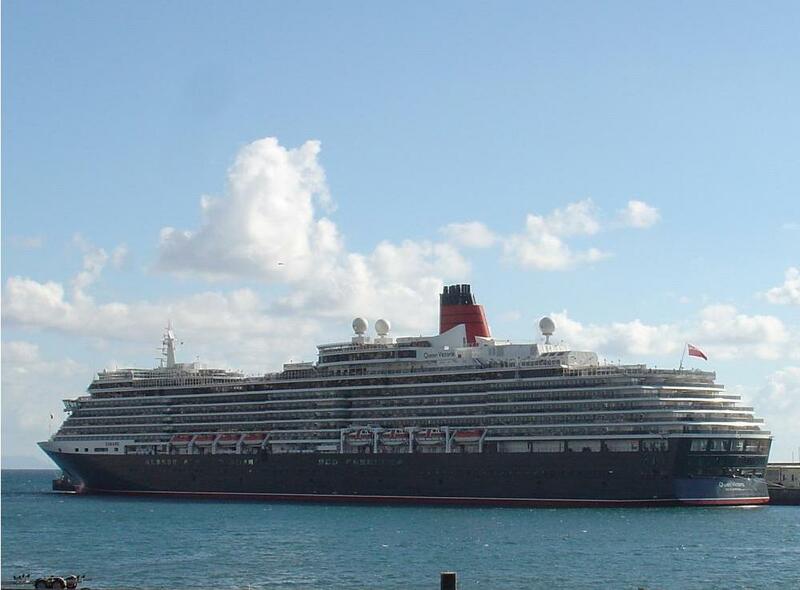 Queen Victoria will arrival in Funchal, day 28, of December 2007, 08,00h AM, departure 05,00h PM, for Arrecife in Canaries Islands. Cost approximately 400 million Euros. Pods: Queen Victoria will be propelled by two podded drive propulsors manufactured by ABB in Finland. Each AZIPOD has a fixed pitch propeller and the combination of varying the speed of the propellers and the ability to rotate the pods independently through 360 degrees provides steering and manoeuvrability. Each pod absorbs a maximum power of 17.6MW. Thrusters: Queen Victoria will have three bow thrusters each absorbing a maximum power of 2.2MW. Stabilisers: Queen Victoria will have one pair of folding fin and each fin will have an area of 20 m².